John Cox has lived in Salisbury since 1979 when he became Head of English, later Assistant Headteacher, at Bishop Wordsworth’s School where he directed over thirty dramatic productions. He retired in 2010 and in the same year joined the Board of La Folia. 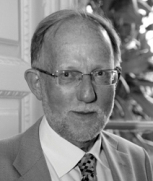 He is also a trustee of EdUKaid and of Sarum St. Michael Educational Charity and is a member of the editorial board of Sarum Chronicle. Vanessa Coryndon has been involved with La Folia since its very beginning as Sarum Chamber Orchestra when she remembers Howard Moody outlining his ideas for a professional music group based in Salisbury. She became a ‘fan’, a ‘Friend’ and an active volunteer. As a former teacher she has a particular interest in La Folia’s creative projects and finds it a joy to support unique music making which she feels ‘has inspired people way beyond even Howard’s wildest dreams’. 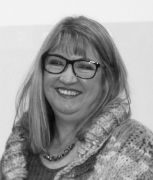 Alison is a fundraising and communications professional whose career has spanned a variety of sectors including the arts, education and charities. In the last few years she has worked in fundraising and development roles with Salisbury Playhouse and Salisbury International Arts Festival. She is now Director of Events, Communications and Fundraising for Horatio’s Garden, a national charity that creates and cares for beautiful accessible gardens in NHS spinal injury centres. 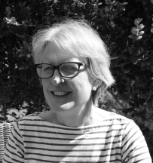 Alison joined the Board in 2017 and is passionate about the work La Folia does and the benefits of access to the arts in all its forms for everyone. 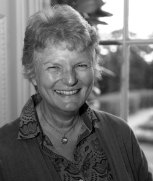 Debbie started her working life with John Eliot Gardiner’s Monteverdi Choir/English Baroque Soloists, where she was assistant administrator for three years. She then landed a job at Cheltenham Arts Festivals, working in a variety of capacities as PA, press officer and, finally, sponsorship officer, before leaving to move further south. For six months she set up and ran the ArtsReach rural touring scheme in west Dorset, until head-hunted by Salisbury International Arts Festival. Debbie currently works for On Foot Holidays and continues to have a wide portfolio of arts interests. Lucy Salisbury is an arts education specialist and consultant who designs and leads innovative and inclusive education projects for public and independent art galleries, museums and collections. 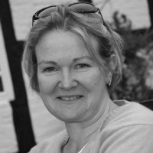 Lucy founded the education programme at the New Art Centre Sculpture Park and Gallery based at Roche Court, Wiltshire, in 2001 and the national public speaking and art appreciation project ARTiculation. She has worked with partners including the British Museum, the National Gallery, The Royal Collections Trust, The Fitzwilliam Museum, Cambridge, Yorkshire Sculpture Park, The Whitworth Manchester, The Ashmolean Museum, Oxford, Chatsworth, the Folkestone Triennial and the British Council among many others. She has served as a governor of Livingston Nursery School in White City, London and a trustee of organisations including the Salisbury Art Centre (2010 – 2016) where she served on the steering committee for the visual arts and the committee for education and outreach, and Salisbury Youth Venture (2012 – 15). She is an active volunteer working with Salisbury Cathedral Education (2001 – present) and other organisations particularly those supporting SEND clients including Riding for the Disabled. Lucy was awarded the Kenneth Clark Society Gold medal for her contribution to Art History. Shirley’s career has been in music and education, mostly recently as Assistant Head of Hampshire County Council’s Music Service. 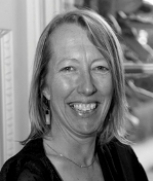 She has been an Honorary Knowledge Exchange Fellow for the University of Winchester’s Centre for the Arts as Well-Being since 2011 and has a particularly interest in community arts and music education work. Shirley is a currently a freelance musician, choral director and arts evaluator.